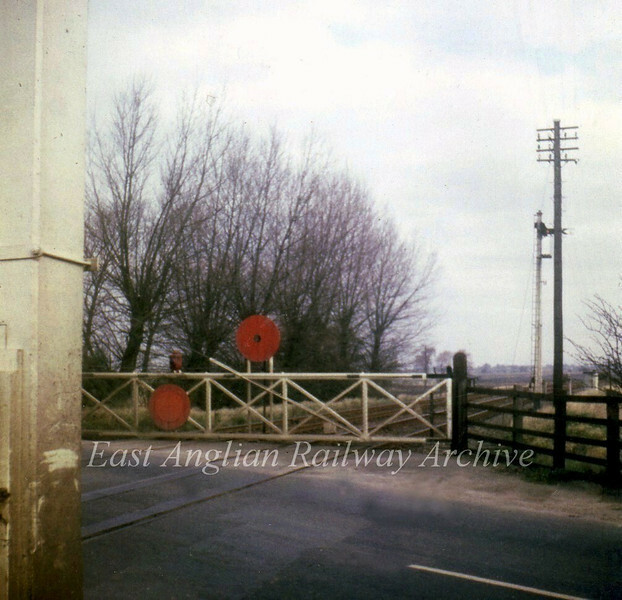 Slade End crossing gates north of Chatteris where the A141 crossed, looking north on 4th March 1967. Chatteris Station's Up distant can be seen in the background. Today the new route of the A141 uses the track bed. Photo with kind permission of Stewart Ingram.